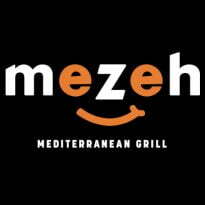 Renaud Consulting is pleased to announce the signing of the new lease of Mezeh Mediterranean Grill located in Peninsula Town Center. Dean Neiman & John Marigliano of Renaud Consulting provided representation on behalf of the tenant. RC Agent: Dean Neiman & John Marigliano represented the tenant. Cooperating Agent: Special thanks to Dean Martin of Cushman & Wakefield for representing the landlord.